Group shore excursions can sometimes feel rigid and impersonal. This private guided tour of St. Petersburg offers the flexibility to customize according to your interests and spends two days exploring so that you get a comprehensive view of the city and its surroundings. 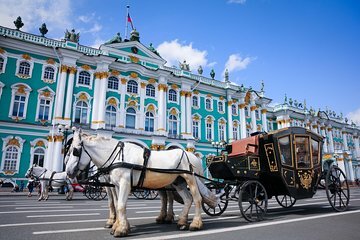 Visit such landmarks as the Hermitage and Catherine Palace, and enjoy a scenic canal cruise.